Over Memorial Day weekend, my girlfriend and I spent a long weekend cabin camping at Stokes State Forest. We spent a total of three nights here, and we both wished that we were able to stay longer than we had. The park is located in Branchville, NJ up in the Northwest corner of New Jersey. There are three separate camping areas in the park: Shotwell, Steam Mill, and Lake Ocquittunk. Neither of us had been to this park before and we wanted to spend more time exploring rather than setting up, so we decided to go with renting a cabin instead of a campsite. This post is a Stokes State Forest review, particularly the cabins in the Lake Ocquittunk camping area. You can rent normal campsites (both with rustic and modern bathroom facilities), lean-tos, and cabins. The cabin that we stayed in runs $65 a night ($55 a night for NJ residents) and comes with 4 single beds, a fireplace (or wood burning stove), interior lighting/outlets, refrigerator, sink, stove, and plenty of cabinet space as well. The best part for the price? It also comes with a half bathroom! Both sinks in the cabin have hot water as well which is a huge plus. The cabins also have a fire ring and charcoal grill on the outside. The cabins were spaced out really well, you had plenty of trees in between and we could barely even see our neighbors which was nice. If you are looking to save even more money and still don’t want to use a tent, you can rent a lean-to for only $40 a night. It’s basically an enclosed shelter that you can plop an air mattress down inside and also has a wood burning stove if you go during the cooler months. You can buy firewood from the camp office during the time they are open for $7 a bundle, but we found several nearby places selling wood for a bit cheaper so we just bought it from there. The cabin we stayed in was spotless, I almost felt like we didn’t even need to wipe anything down when we arrived. Obviously this may vary based on which employee cleaned the cabin before your arrival, but we were impressed based on several other parks we had stayed at. Since we were camping in the cabin only area, there were no shared bathrooms. There were six individual shower “rooms” within a main shower building which was unique. Plenty of room in each shower and there was also a bench to keep some things dry and change your clothes – no complaints from us on the facilities. 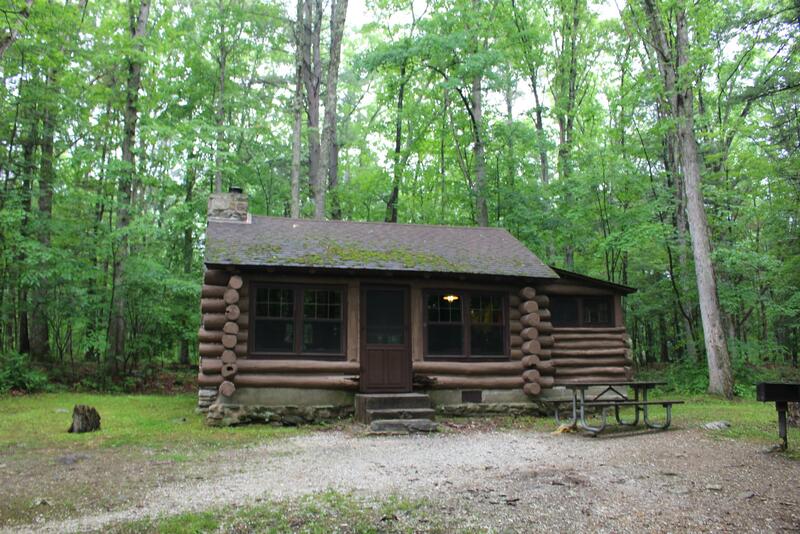 Click here to see all the Stokes State Forest cabin pictures. There is plenty of hiking throughout Stokes State Forest as well as a day use area for swimming, picnicking, fishing and a snack stand. We ended up hiking to a section of the Appalachian Trail during our stay and checking out the views from Sunrise Mountain. It was a fairly strenuous hike to the top, but the views were nice and there are several pavilions and structures at the top for you to rest in. If you’re staying here for more than just a weekend, I don’t think you would run out of things to do. 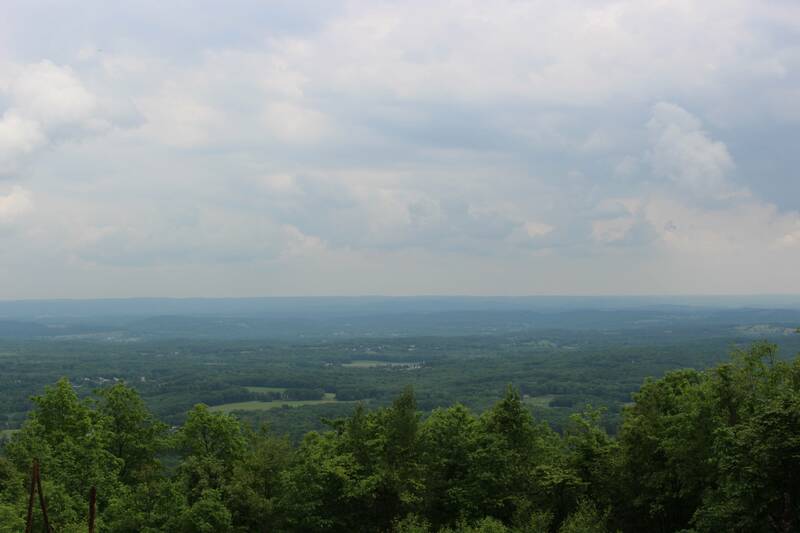 The park directly borders High Point State Park to the North where you can hike to the highest point in New Jersey. There’s also Swartswood State Park a little further South which offers more fishing, boating, and swimming opportunities. It’s also less than 15 minutes away from the Delaware Water Gap National Recreation Area. With so many things in the area it’s a great place to stay for $65 a night. I definitely recommend going to this park and renting a cabin, as you get a lot of value for your money compared to other states. There is also a ton of hiking, fishing, and swimming both within the forest and nearby in other state parks if you needed any more to do. If this review of Stokes State Forest missed something, feel free to leave your question in the comments below or send me an e-mail and I’ll try my best to answer you.